The Thirty Years Tour is a solo stage show in which Michael, aided and abetted by a rich and often rare archive of film, video, photos and recordings, looks back over three decades of his diaries, to mark the paperback publication of the latest volume, Travelling To Work – Diaries 1988 to 1998. From the end of the 1960s when his first child and a new series called Monty Python’s Flying Circus took their first faltering steps, to the end of a century in which Python had become the most influential comedy team in the world and Palin a hugely successful television traveller, his career is a celebration of diversity – of Ripping Yarns and Railway Journeys, of films like Time Bandits, Brazil, A Fish Called Wanda and A Private Function, of award-winning TV dramas like GBH, of novels, a West End play and even an appearance in an American courtroom to defend Monty Python. Michael is as forthright about failure as he is baffled by success. In this two part show Michael shares with the audience the often hilarious, always honest and occasionally downright uncomfortable experiences of an ever-changing life. 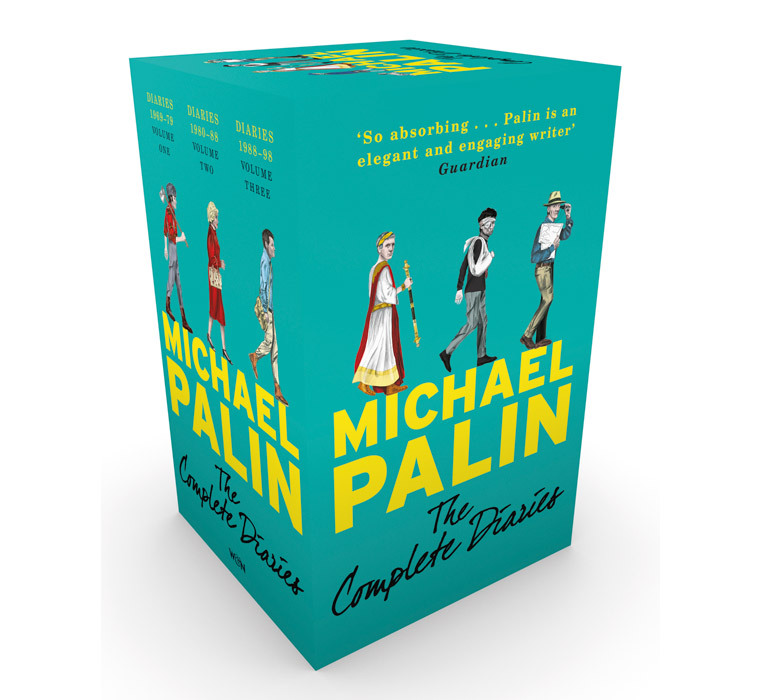 Michael Palin – The Thirty Years Tour. A Journey Through My Diaries.